This covers many popular categories including Blogging, Business, Commerce, Fitness and Wearables, Connected Home, Lifestyle, Mobile, Music, News and Sports, Photo and Video, Productivity, and Social Networking. 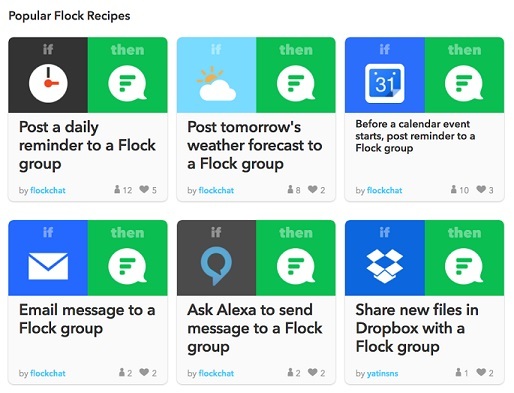 Flock is now an exclusive channel on IFTTT. IFTTT, a popular service, automates tasks between two apps. When connected, one app triggers events either on demand or when a task is completed and the other app takes the action specified by the user.